St. Cloud’s newest brewery aims to bring the city one step closer to becoming a destination for craft beer. 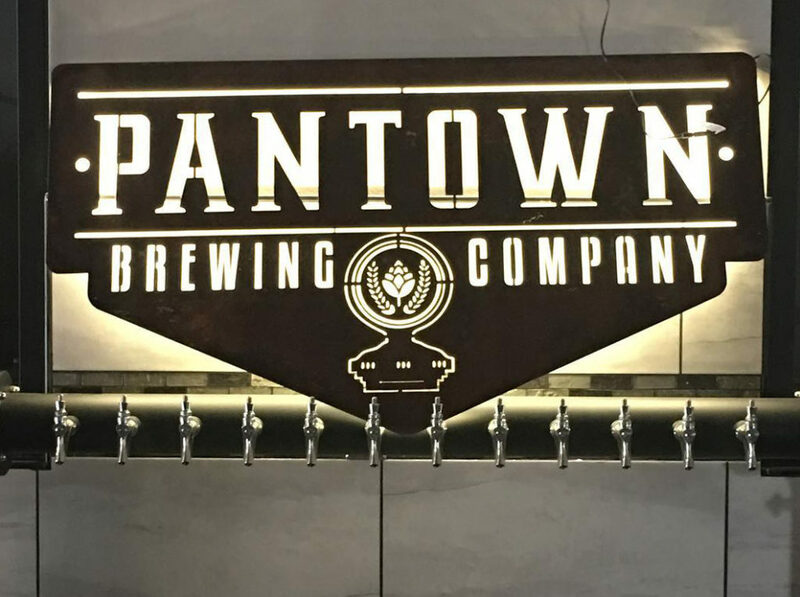 Pantown Brewing Company is named after the neighborhood on the northwest end of St. Cloud, which was originally made up of 45 homes built by Samuel Pandolfo to house the employees of the Pan Motor Company, a local automobile company started in 1917. The Pan Motor Company only survived two years before Pandolfo was put in jail, somewhat suspiciously, for mail fraud. But Pantown remained, and as St. Cloud expanded, it absorbed the neighborhood. In many ways, Pantown Brewing Company embraces the history of its neighborhood. For starters, the brewery took a page from the area’s automotive history to design their space. Co-owner Marty Czech explains that they went for an old-timey industrial look, including charred wood, black metal, and Edison bulbs. Additionally, the brewery logo is a throwback to the old car company. 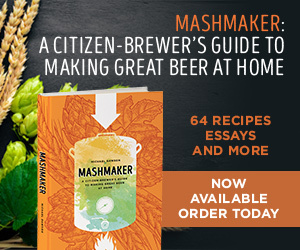 “We took the outline of the hood ornament from the Pan automobiles, and modified it with some hops and some barley in there to give it a beer twist,” Czech explains. Likewise, the font used in the brewery logo comes from the old Pan Motor stock certificates. 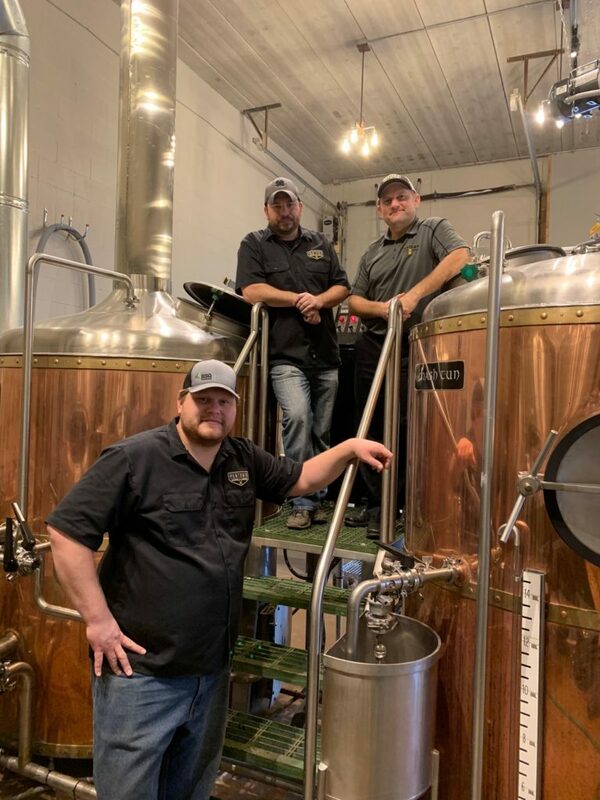 While it might seem a little odd for Pantown Brewing Company to take its inspiration from the short-lived Pan Motor Company, the owners aren’t bothered by it. Some people think Pandolfo was wrongly punished for his investment practice, and that his jailing may have been a result of Henry Ford trying to shut down his competitors. “There’s a real sense of ‘what might have been?’” among the people of St. Cloud and Stearns County, Czech says. They’re hopeful their brewery will bring more people to the area in a way the auto industry never had the chance to. Ultimately it was Pandolfo’s “ahead-of-his-time innovator mentality” that Czech and co-founder Noel Johnson were drawn to. 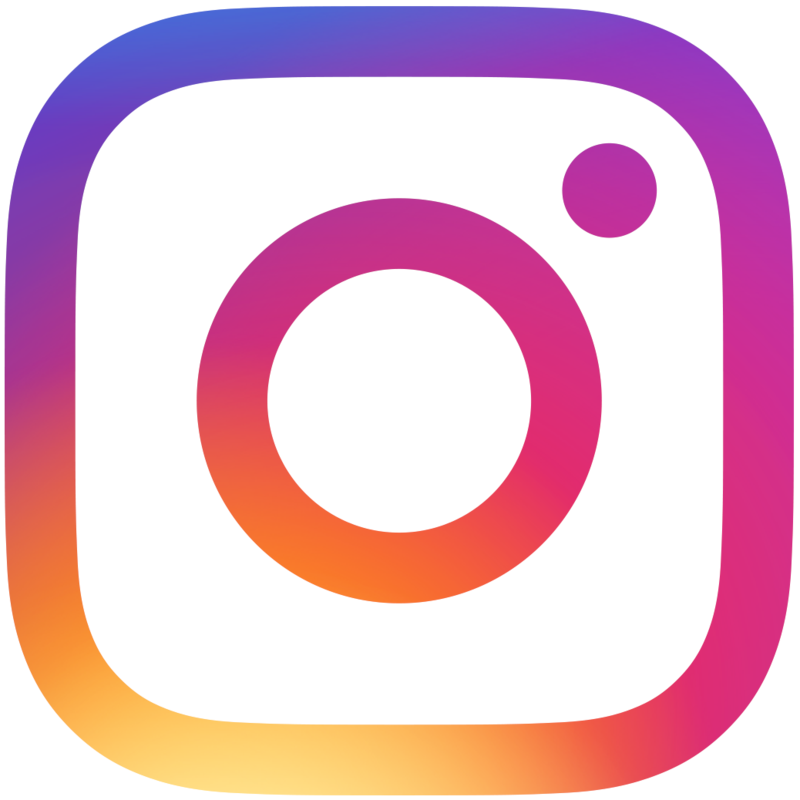 While Pantown Brewing doesn’t consider itself to be as far ahead of the times as Pandolfo was, they know they want to keep things exciting. For Czech, excitement, both as a beer fan and a brewery owner, comes from trying new beers. Brewer Nick Flies, who left LynLake Brewery in Minneapolis to join Pantown, plans to regularly introduce new beers at the taproom, including seasonal and fruit beers. 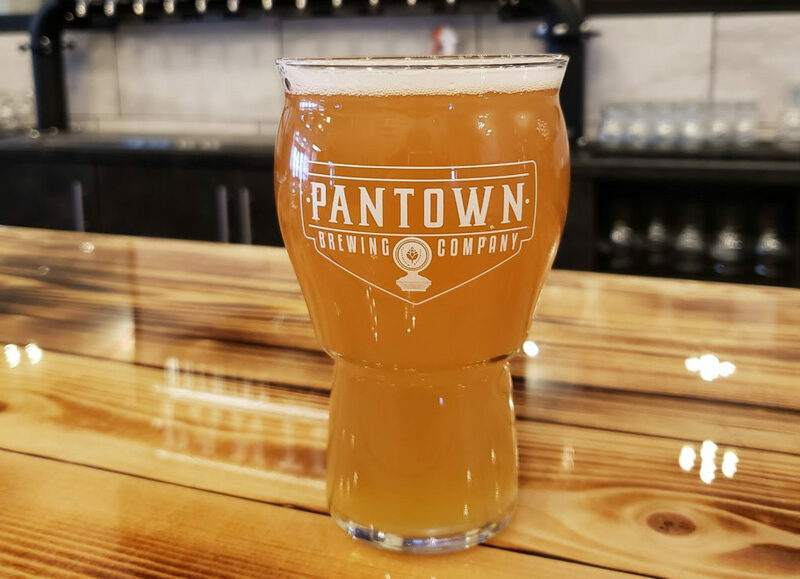 Pantown will also offer a standard lineup of beers, always having an IPA, stout, amber, and cream ale on tap for customers looking for a more traditional style. 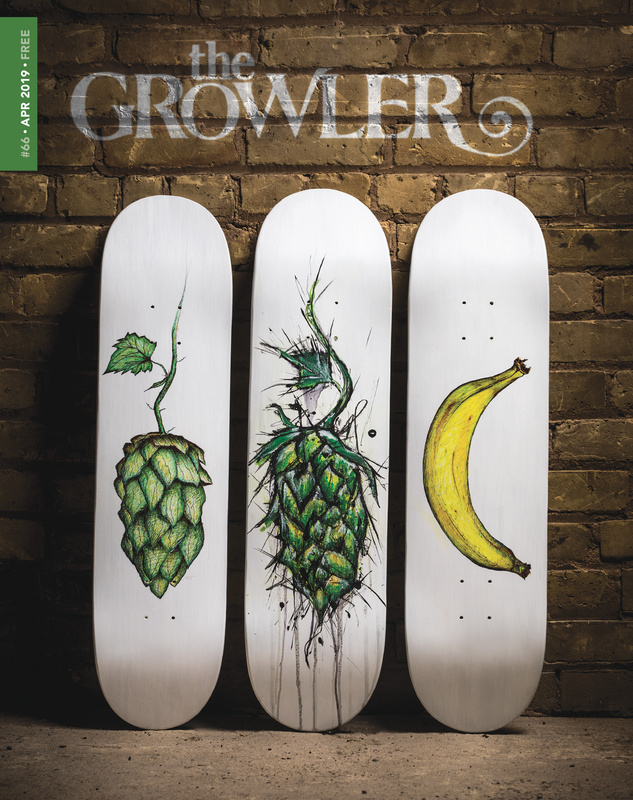 That support makes the team at Pantown hopeful that they, and their fellow breweries nearby, will make St. Cloud a craft-beer destination. “We can grow craft beer more in central Minnesota,” says Czech, adding that he thinks St. Cloud has room for a couple more breweries, which could make beer fans more willing to make the hour-long trip from the Twin Cities metro. For now, Pantown is leaning on its lineup of craft beers and events at the taproom, such as live music every Wednesday as well as events like trivia and stand-up comedy, to draw customers in. They also plans to hold charitable events—dubbed “Beeranthropy” nights—to raise money for local nonprofits. Editor’s Note: The original version of this story neglected to list Third Street Brewhouse as a craft brewery in the St. Cloud area. The brewery is located in Cold Spring. 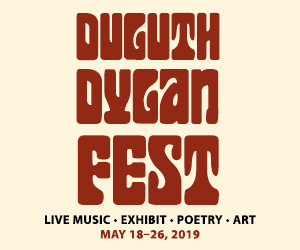 Now Open (Or Damn Close): La Doña Cervecería Now Open (Or Damn Close): Half Pint Brewing Company in Waseca Now Open (Or Damn Close): 3rd Act Craft Brewery in Woodbury Now Open (Or Damn Close): Giesenbräu Bier Co.